EXHIBITIONS: Both the Museum of London and the V&A have big new shows opening this week: Dickens and London opens at the Museum of London from Friday, and on Monday, the V&A opens Rabindranath Tagore: Poet and Painter including many paintings which have never been displayed outside India before. Two interesting-sounding art exhibitions come to town on Thursday: Annie Leibovitz: Pilgrimage is at the Hamiltons Gallery, and Christophe Von Hohenberg: The Day the Factory Died opens at the Coldharbour London gallery on the same day. Both are free. THEATRE: Is it a concert, a play, a film or a storytelling "event"? However you want to define it, The Animals And Children Took To The Streets opens at the National Theatre tomorrow. Elsewhere tomorrow, it’s the opening night for The Ladykillers at the Gielgud Theatre, starring Peter Capaldi, James Fleet, Ben Miller, Clive Rowe and Stephen Wright; and dark coming-of-age musical Pippin at the Menier Chocolate Factory, with Frances Ruffelle. Audience brings its unsettling blend of participation and genius to the Soho Theatre from Friday; it’s the same night the Southwark Playhouse open their new show, The Canterbury Tales. 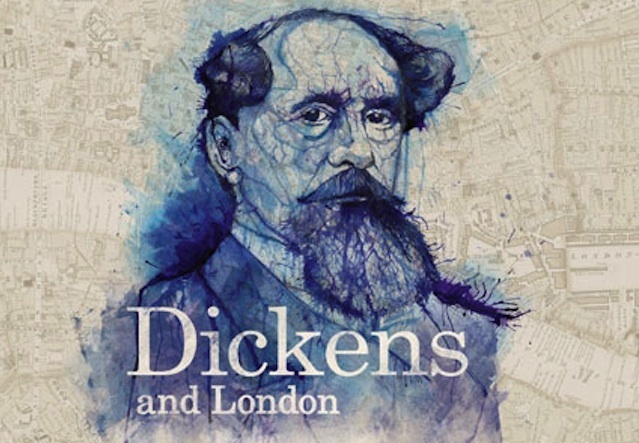 Saturday is the first night for Simon Callow’s A Christmas Carol at the Arts Theatre; pair the play with some tickets to the new Dickens exhibition at the Museum of London, and you’re on to a Dickens-themed seasonal winner. DANCE: Dance fans can choose between a number of festive treats. There’s The Snowman at the Peacock Theatre from tomorrow; The Nutcracker at the London Coliseum from Thursday; and Magical Night at the Linbury Studio at the Royal Opera House from Friday. Little londonists have a whole host of seasonal shows opening up for them this week. There’s Beasts and Beauties at the Hampstead Theatre from tonight; The Magician’s Daughter at the Albany Theatre, also from tonight; The Snow Queen at the Rose Theatre in Kingston from Thursday; Around The World in 80 Days at the Brockley Jack Theatre from Friday; and The Gruffalo’s Child at artsdepot from Sunday. CLASSICAL: Advent is a big moment in the classical music year with scared music filling churches and halls. Tonight at the Royal Festival Hall, Londonist favourites the Orchestra of the Age of Enlightenment performs Handel's much-performed masterpiece, Messiah. Baroque music specialist Laurence Cummings conducts and the pick of the soloists is soprano Elizabeth Watts. Booking (and a small film) here. FOLK: Some of the best names in Celtic folk music descend on Kings Place for the Roots and Branches series this weekend. Highlights include the brilliant duo of Shetland fiddler Chris Stout and harpist Catriona McKay on Thursday night and old-timer Boys of the Lough on Friday night.